Scifi-Horror books, stories and novels for readers aged 18+. 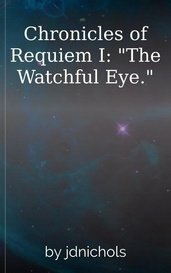 Chronicles of Requiem I: "The Watchful Eye." The men and women of REQUIEM fight against a growing virus, trained and lethal; the story follows Kani Lockere through the recruitment process, as she finds everything she fights for was a hoax. A boy and his sick grandma discover secrets hidden within their small town. The people they thought they knew have become strangers who desperately want to enter their home. 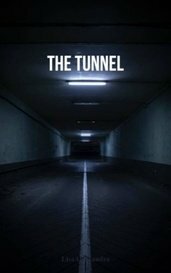 Tunnels lead us to the other side of something, that much we all know, but the tunnel of this story might lead you to somewhere much darker. While the world was recovering and rebuilding from the zombie apocalypse, one eccentric genius was turning a Haitian island into a paradise for the wealthy and affluent. Unless...something goes wrong. A seemingly ordinary woman learn that she is anything but ordinary. A new and terrifying journey awaits her. She now has to decide is she stays with her own kind or defies them. Exactly keeps your interested enough to keep reading to see what happens next!! I have read many of Gary's writings and I love this one. It's one of my favorites because it's well written and it really touched me. I can relate to it, which matters to me. A group of humans struggle to find meaning and love in a dying world, where only death and horror and the final convulsions of the earth keep them going. The earth has been atomized, and we have retreated underground. Above ground, horrible wraiths from beyond haunt the landscape; These are the stories of survival and progress in this dark age. This was very good awesome really,This story had me thirsting for more. Hope to read more on this story keep up the great job. Even the purest hearts and souls still have an everlasting pinch of darkness. Following a group of people drawn together as they try to fight for their survival in the wasteland created by the eruption of the super volcano that lies beneath Yellowstone National Forest. Never a Dull Moment! I found it hard to put down. 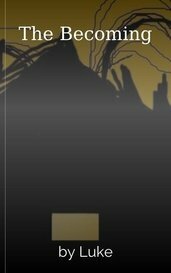 Each chapter left me wondering... could easily be a series.... character building throughout the novel instead of a boring 1st Chapter introducing characters as most novels do. Half a Minute to Midnight is a collection of stories that explores the question "What if technology took a step too far?" Count Darius has ruled the Earth for a thousand years. As the world changes around him it becomes more difficult to feed on the living. Upon being taken into custody, there is an outbreak in jail. Am otherworldly violet light is changing Lancet Falls. When people start dying, five individuals realize that not all the changes are for the better.